Food and Iron: Elf For Health 2013! Way back when (well, a year ago! 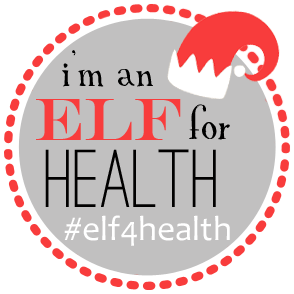 ), I wrote a post about my participation with an event called Elf For Health Holiday Challenge. The event is a large, online support system created my Lindsay from The Lean Green Bean and Elle from Nutritionella. It is a challenge that runs through late November to late December. 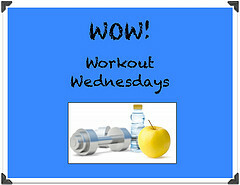 You have daily "challenges" to help keep you on track during the holidays . These challenges fall into four categories: "Food, Fitness, For You, and For Others." Over the course of the challenge, you are assigned an "elf"... aka a buddy that you email and support daily, that helps you with personal goals as well as the Elf Challenges. Not to mention, weekly there are prizes for best Elf! Some of the awesome sponsors include Manitoba Harvest, Nature Box, Nutzo and more!! Speaking of my "elf"... LAST year I had the awesome opportunity to be partnered with Kristen, a fellow blogger. She was an amazing person to get to know and we had lots of fun with emailing eachother and doing the daily activities. The challenges have JUST began... so I am sure I will fallow up this post with some info on how things are going! I also will be updating on my Twitter, Facebook, and Instagram on our progress. Also, the deadline for this first round (two weeks) of Elf For Health is at a close. But you can still hook up on the Facebook page, participate in Twitter, and sign up for the next round in December! So... are you participating in any holiday challenges, such as Elf For Health or Clean Eating Teen's "No Excuse November Challenge" ?